The ultimate soft ride gets even softer in the NEW Glycerin 16. 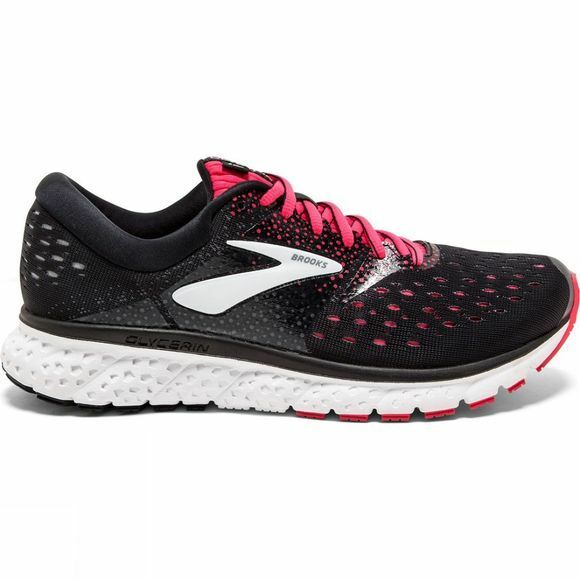 Featuring our brand new DNA LOFT cushioning technology – a finely calibrated mix of Brooks DNA foam, air and rubber to give you Brooks softest ride yet, engineered to provide a softer feeling underfoot without losing responsiveness and durability. The IDEAL Pressure Zones evenly disperse impact throughout the gait cycle, allowing for a super smooth transition from heel to toe-off. And the new engineered mesh upper and stretchy 3D Fit Print technology gives you a streamlined and plush fit with maximum comfort and ventilation. What are you waiting for? Pick up a pair of the Glycerin 16 and float away. 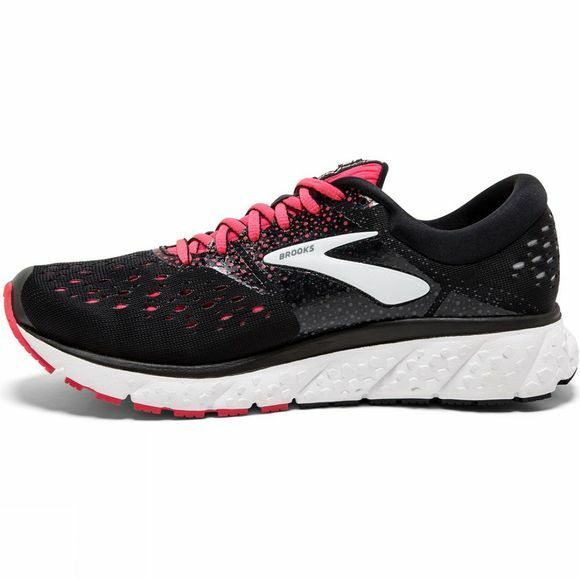 "In general, I thought the trainers were very comfortable and light. So comfortable that I didn’t even think about my feet when I was running. They were also a good fit for me as I have thin feet and often some trainers can be too wide but I was able to do these up tight so that they fitted perfectly." Jessie, Buying. Super-Soft Cushioning: The DNA LOFT cushioning provides a soft, luxurious feeling underfoot without losing responsiveness or durability, while the Ortholite® sockliner provides premium step-in comfort. Plush Transitions: The DNA LOFT transition zone makes every move from heel-to-toe feel incredibly soft and smooth. Plush Fit: The plush feel of an internal stretch bootie surrounds your foot and moves and expands with your stride. The engineered mesh upper and 3D Fit Print technology only enhance the fit.